The collapse of the Roman Empire unlinked the French economy from Europe. Town and city life and trade declined and society became based on the self-sufficient manor. What limited international trade existed in the Merovingian age — primarily in luxury goods such as silk, papyrus, and silver — was carried out by foreign merchants such as the Radanites. Agricultural output began to increase in the Carolingian age as a result of the arrival of new crops, improvements in agricultural production, and good weather conditions. However, this did not lead to the revival of urban life; in fact, urban activity further declined in the Carolingian era as a result of civil war, Arab raids, and Viking invasions. The Pirenne hypotheses posits that at this disruption brought an end to long-distance trade, without which civilization retreated to purely agricultural settlements, and isolated military, church, and royal centers. When trade revived these centers became the nucleus of new towns and cities around which suburbs of merchants and artisans grew. The 13 decades from 1335 to 1450 spawned a series of economic catastrophes, with bad harvests, famines, plagues, and wars that overwhelmed four generations of Frenchmen. The population had expanded, making the food supply more precarious. The bubonic plague ("Black Death") hit Western Europe in 1347, killing a third of the population, and it was echoed by several smaller plagues at 15-year intervals. The French and English armies during the Hundred Years War marched back and forth across the land; they ransacked and burned towns, drained the food supply, disrupted agriculture and trade, and left disease and famine in their wake. Royal authority weakened, as local nobles became strongmen fighting their neighbors for control of the local region. France's population plunged from 17 million, down to 12 million in 130 years. Finally, starting in the 1450s, a long cycle of recuperation began. The economy of Renaissance France was, for the first half-century, marked by dynamic demographic growth and by developments in agriculture and industry. Until 1795, France was the most populated country in Europe and the third most populous country in the world, behind only China and India. With an estimated population of 17 million in 1400, 20 million in the 17th century, and 28 million in 1789, its population exceeded even Russia and was twice the size of Britain and Holland. In France, the Renaissance was marked by a massive increase in urban populations, although on the whole, France remained a profoundly rural country, with less than 10% of the population located in urban areas. Paris was one of the most populated cities in Europe, with an estimated population of 650,000 by the end of the 18th century. Lyon was the center of France's banking and international trade markets. Market fairs occurred four times a year and facilitated the exportation of French goods, such as cloth and fabrics, and importation of Italian, German, Dutch, English goods. It also allowed the importation of exotic goods such as silks, alum, glass, wools, spices, dyes. Lyon also contained houses of most of Europe's banking families, including Fugger and Medici. Regional markets and trade routes linked Lyon, Paris, and Rouen to the rest of the country. Under Francis I and Henry II, the relationships between French imports and the exports to England and to Spain were in France's favor. Trade was roughly balanced with the Netherlands, but France continually ran a large trade deficit with Italy due to the latter's silks and exotic goods. In subsequent decades, English, Dutch and Flemish maritime activity would create competition with French trade, which would eventually displace the major markets to the northwest, leading to the decline of Lyon. Although France, being initially more interested in the Italian wars, arrived late to the exploration and colonization of the Americas, private initiative and piracy brought Bretons, Normans and Basques early to American waters. Starting in 1524, Francis I began to sponsor exploration of the New World. Significant explorers sailing under the French flag included Giovanni da Verrazzano and Jacques Cartier. Later, Henry II sponsored the explorations of Nicolas Durand de Villegaignon who established a largely Calvinist colony in Rio de Janeiro, 1555-1560. Later, René Goulaine de Laudonnière and Jean Ribault established a Protestant colony in Florida (1562–1565). (see French colonization of the Americas). Meanwhile, France's military ventures in Italy and (later) disastrous civil wars demanded huge sums of cash, which were raised with through the taille and other taxes. The taille, which was levied mainly on the peasantry, increased from 2.5 million livres in 1515 to 6 million after 1551, and by 1589 the taille had reached a record 21 million livres. Financial crises hit the royal household repeatedly, and so in 1523, Francis I established a government bond system in Paris, the "rentes sure l'Hôtel de Ville". In the 17th century rich peasants who had ties to the market economy provided much of the capital investment necessary for agricultural growth, and frequently moved from village to village (or town). 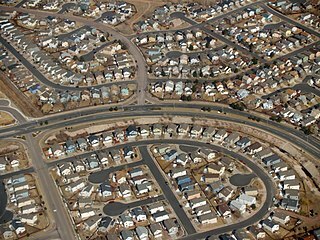 Geographic mobility, directly tied to the market and the need for investment capital, was the main path to social mobility. The "stable" core of French society, town guildspeople and village laborers, included cases of staggering social and geographic continuity, but even this core required regular renewal. Accepting the existence of these two societies, the constant tension between them, and extensive geographic and social mobility tied to a market economy holds the key to a clearer understanding of the evolution of the social structure, economy, and even political system of early modern France. Collins (1991) argues that the Annales School paradigm underestimated the role of the market economy; failed to explain the nature of capital investment in the rural economy, and grossly exaggerated social stability. After 1597, France economic situation improved and agricultural production was aided by milder weather. Henry IV, with his minister Maximilien de Béthune, Duc de Sully, adopted monetary reforms. These included better coinage, a return to the livre tournois as account money, reduction of the debt, which was 200 million livres in 1596, and a reduction of the tax burden on peasants. Henry IV attacked abuses, embarked on a comprehensive administrative reform, increased charges for official offices, the "paulette", repurchased alienated royal lands, improved roads and the funded the construction of canals, and planted the seed of a state-supervised mercantile philosophy. Under Henry IV, agricultural reforms, largely started by Olivier de Serres were instituted. These agricultural and economic reforms, and mercantilism would also be the policies of Louis XIII's minister Cardinal Richelieu. In an effort to counteract foreign imports and exploration, Richelieu sought alliances with Morocco and Persia, and encouraged exploration of New France, the Antilles, Sénégal, Gambia and Madagascar, though only the first two were immediate successes. These reforms would establish the groundwork for the Louis XIV's policies. The wars and the weather at the end of the century brought the economy to the brink. Conditions in rural areas were grim from the 1680s to 1720s. To increase tax revenues, the taille was augmented, as too were the prices of official posts in the administration and judicial system. With the borders guarded due to war, international trade was severely hindered. The economic plight of the vast majority of the French population — predominantly simple farmers — was extremely precarious, and the Little Ice Age resulted in further crop failures. Bad harvests caused starvation--killing s tenth of the people in 1693-94. Unwilling to sell or transport their much-needed grain to the army, many peasants rebelled or attacked grain convoys, but they were repressed by the state. Meanwhile, wealthy families with stocks of grains survived relatively unscathed; in 1689 and again in 1709, in a gesture of solidarity with his suffering people, Louis XIV had his royal dinnerware and other objects of gold and silver melted down. France was large and rich and experienced a slow economic and demographic recovery in the first decades following the death of Louis XIV in 1715. Monetary confidence was briefly eroded by the disastrous paper money "System" introduced by John Law from 1716 to 1720. In 1726, under Louis XV's minister Cardinal Fleury, a system of monetary stability was put in place, leading to a strict conversion rate between gold and silver, and set values for the coins in circulation in France. Starting in the late 1730s and early 1740s, and continuing for the next 30 years, France's population and economy underwent expansion. Rising prices, particularly for agricultural products, were extremely profitable for large landholders. Artisans and tenant farmers also saw wage increases but on the whole, they benefited less from the growing economy. Pivotal developments in agriculture such as modern techniques of crop rotation and the use of fertilizers, which were modeled on successes in Britain and Italy, began to be introduced in parts of France. It would, however, take generations for these reforms to spread throughout all of France. Farming of recent New World crops, including maize (corn) and potatoes, continued to expand and provided an important supplement to the diet. The most dynamic industries of the period were mines, metallurgy, and textiles (in particularly printed fabrics, such as those made by Christophe-Philippe Oberkampf). The advancements in these areas were often due to British inventors. For example, it was John Kay's invention of the flying shuttle that revolutionized the textile industry, and it was James Watt's steam engine that changed the industry as the French had known it. Capital remained difficult to raise for commercial ventures, however, and the state remained highly mercantilistic, protectionist, and interventionist in the domestic economy, often setting requirements for production quality and industrial standards, and limiting industries to certain cities. In 1749, a new tax, modeled on the "dixième" and called the "vingtième" (or "one-twentieth"), was enacted to reduce the royal deficit. This tax continued throughout the ancien régime. It was based solely on revenues, requiring 5% of net earnings from land, property, commerce, industry and from official offices, and was meant to touch all citizens regardless of status. However, the clergy, the regions with "pays d'état" and the parlements protested; the clergy won exemption, the "pays d'état" won reduced rates, and the parlements halted new income statements, effectively making the "vingtième" a far less efficient tax than it was designed to be. The financial needs of the Seven Years' War led to a second (1756–1780), and then a third (1760–1763), "vingtième" being created. In 1754, the "vingtième" produced 11.7 million livres. The later years of Louis XV's reign saw some economic setbacks. While the Seven Years' War, 1756–1763, led to an increase in the royal debt and the loss of nearly all of France's North American possessions, it was not until 1775 that the French economy began truly to enter a state of crisis. An extended reduction in agricultural prices over the previous twelve years, with dramatic crashes in 1777 and 1786, and further complicated by climatic events such as the disastrous winters of 1785-1789 contributed to the problem. With the government deeply in debt, King Louis XVI was forced to permit the radical reforms of Turgot and Malesherbes. However, the nobles' disaffection led to Turgot's dismissal and Malesherbes' resignation 1776. Jacques Necker replaced them. 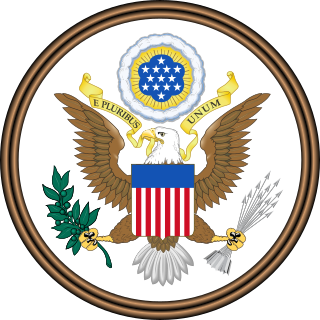 Louis supported the American Revolution in 1778, but the Treaty of Paris (1783) yielded the French little, excepting an addition to the country's enormous debt. The government was forced to increase taxes, including the "vingtième." Necker had resigned in 1781, to be replaced temporarily by Calonne and Brienne, but he was restored to power in 1788. The international commercial centers of the country were based in Lyon, Marseille, Nantes, and Bordeaux. Nantes and Bordeaux saw phenomenal growth due to an increase of trade with Spain and Portugal. Cádiz was the commercial hub for export of French printed fabrics to India, the Americas and the Antilles (coffee, sugar, tobacco, American cotton), and Africa (the slave trade), centered in Nantes. average size of industrial undertakings was smaller in France than in other advanced countries; that machinery was generally less up to date, productivity lower, costs higher. The domestic system and handicraft production long persisted, while big modern factories were for long exceptional. Large lumps of the Ancien Régime economy survived...On the whole, the qualitative lag between the British and French economy...persisted during the whole period under consideration, and later on a similar lag developed between France and some other countries—Belgium, Germany, the United States. France did not succeed in catching up with Britain, but was overtaken by several of her rivals. The economy did poorly in 1790-96 as industrial and agricultural output dropped, foreign trade plunged, and prices soared. The government decided not to repudiate the old debts. Instead, it issued more and more paper money (called "assignat") that supposedly were grounded seized lands. The result was escalating inflation. The government imposed price controls and persecuted speculators and traders in the black market. People increasingly refused to pay taxes as the annual government deficit increased from 10% of gross national product in 1789 to 64% in 1793. By 1795, after the bad harvest of 1794 and the removal of price controls, inflation had reached a level of 3500%. Throughout January and February 1795, the Seine River(the main source of import and export of goods at the time) froze, making it impossible to transport anything through there, such as food, luxury goods, and materials that factories depended on in order to keep running. Many factories and workshops were forced to close because they had no way to operate, this led to an increased amount of unemployment. With unemployment soaring, many of the poor (most of the population) were forced to sell their belongings. On the other hand, the very few who were wealthy, could afford anything they needed. "The markets were well stocked, but the food could only be bought at excessive prices". The value of the assignats "had plunged from 31 percent of that of the silver currency in July 1794 to 8 percent in March 1795"  The assignats were withdrawn in 1796 but the replacements also fueled inflation. The inflation was finally ended by Napoleon in 1803 with the gold franc as the new currency. Agriculture was transformed by the Revolution. It abolished tithes owed to local churches as well as feudal dues owed to local landlords. The result hurt the tenants, who paid both higher rents and higher taxes. It nationalized all church lands, as well as lands belonging to royalist enemies who went into exile. It planned to use these seized lands to finance the government by issuing assignats. With the breakup of large estates controlled by the Church and the nobility and worked by hired hands, rural France became permanently a land of small independent farms. The rural proletariat and nobility both gave way to the commercial farmer. Cobban says the revolution "bequeathed to the nation "a ruling class of landowners." In the cities entrepreneurship on a small scale flourished, as restrictive monopolies, privileges, barriers, rules, taxes, and guilds gave way. However, the British blockade severely damaged overseas trade. Overall the Revolution did not greatly change the French business system and probably helped freeze in place the horizons of the small business owner. The typical businessman owned a small store, mill or shop, with family help and a few paid employees; large-scale industry was less common than in other industrializing nations. 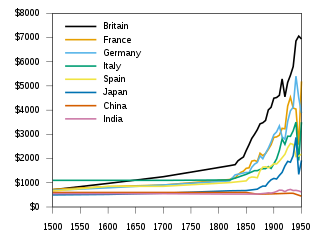 Napoleon after 1799 paid for his expensive wars by multiple means, starting with the modernization of the rickety financial system. He conscripted soldiers at low wages, raised taxes, placed large-scale loans, sold lands formerly owned by the Catholic Church, sold Louisiana to the United States, plundered conquered areas and seized food supplies, and did requisitions on countries he controlled, such as Italy. The constant "war-footing" of the Napoleonic Era, 1795–1815, stimulated production at the cost of investment and growth. Production of armaments and other military supplies, fortifications, and the general channeling of the society toward the establishment and maintenance of massed armies, temporarily increased economic activity after several years of revolution. The rampant inflation of the Revolutionary era was halted by not printing the new currency quite as fast. The maritime Continental Blockade, implemented by Napoleon's opponents and very effectively enforced by the Royal Navy, gradually cut into any economic arena in which the French economy was not self-sufficient. 1815 saw the final defeat of the French forces and the collapse of its war footing. This gave rise to a relatively peaceful period in the whole of Europe until 1914, during which important institutional reforms such as the introduction of a highly rationalized legal system could be implemented. Napoleon's impact on the French economy was of modest importance in the long run. He did sweep away the old guilds and monopolies and trade restrictions. He introduced the metric system and fostered the study of engineering. Most important he opened up French finance by the creation of the indispensable Bank of France. However, entrepreneurs had little opportunity to take advantage of these reforms. Napoleon provided a protected continental market by systematic exclusion of all imports from Britain. This had the effect of encouraging innovation in Britain, where the Industrial Revolution was well underway, and diverting the need for innovation in France. What innovation took place focused on armaments for the army, and was of little value in peacetime. In France the business crisis in 1810-1812 undermined what successes entrepreneurs had achieved. With the restoration of the Bourbons in 1814, the reactionary aristocracy with its disdain for entrepreneurship return to power. British goods flooded the market, and France responded with high tariffs and protectionism, to protect its established businesses especially handcrafts and small-scale manufacturing such as textiles. The tariff on iron goods reached 120%. Agriculture had never needed protection but now demanded it from the lower prices of imported foodstuffs, such as Russian grain. French winegrowers strongly supported the tariff – their wines did not need it, but they insisted on a high tariff on the import of tea. One agrarian deputy explained: "Tea breaks down our national character by converting those who use it often into cold and stuffy Nordic types, while wine arouses in the soul that gentle gaiety that gives Frenchmen their amiable and witty national character." the French government falsified the statistics to claim that exports and imports were growing – actually there was stagnation and the economic crisis of 1826-29 disillusioned the business community and readied them to support the revolution in 1830. Perhaps the only successful and innovative economic sector was banking. Paris emerged as an international center of finance in the mid-19th century second only to London. It had a strong national bank and numerous aggressive private banks that financed projects all across Europe and the expanding French Empire. Napoleon III had the goal of overtaking London to make Paris the premier financial center of the world, but the war in 1870 reduced the range of Parisian financial influence. One key development was setting up one of the main branches of the Rothschild family. In 1812, James Mayer Rothschild arrived in Paris from Frankfurt, and set up the bank "De Rothschild Frères". This bank funded Napoleon's return from Elba and became one of the leading banks in European finance. The Rothschild banking family of France funded France's major wars and colonial expansion. The Banque de France, founded in 1796 helped resolve the financial crisis of 1848 and emerged as a powerful central bank. The Comptoir National d'Escompte de Paris (CNEP) was established during the financial crisis and the Republican revolution of 1848. Its innovations included both private and public sources in funding large projects and the creation of a network of local offices to reach a much larger pool of depositors. The Péreire brothers founded the Crédit Mobilier. It became a powerful and dynamic funding agency for major projects in France, Europe and the world at large. It specialized in mining developments; it funded other banks including the Imperial Ottoman Bank and the Austrian Mortgage Bank; it funded railway construction. It also funded insurance companies and building contractors. The bank had large investments in a transatlantic steamship line, urban gas lighting, a newspaper and the Paris Paris Métro public transit system. Other major banks included the Société Générale, and in the provinces the Crédit Lyonnais. After its defeat in 1871, France had to pay enormous reparations to Germany, with the German army continuing its occupation until the debt was paid. The 5 billion francs amounted to a fourth of France's GNP – and one-third of Germany's and was nearly double the usual annual exports of France. Observers thought the indemnity was unpayable and was designed to weaken France and justify long years of military occupation. However France paid it off in less than three years. The payments, in gold, acted as a powerful stimulus that dramatically increased the volume of French exports, and on the whole, produced positive economic benefits for France. The Paris Bourse or stock exchange emerged as a key market for investors to buy and sell securities. It was primarily a forward market, and it pioneered in creating a mutual guarantee fund so that failures of major brokers would not escalate into a devastating financial crisis. Speculators in the 1880s who disliked the control of the Bourse used a less regulated alternative the Coulisse. However, it collapsed in the face of the simultaneous failure of a number of its brokers in 1895–1896. The Bourse secured legislation that guaranteed its monopoly, increased control of the curb market, and reduced the risk of another financial panic. France in 1815 was overwhelmingly a land of peasant farms, with some handicraft industry. Paris, and the other much smaller urban centers had little industry. On the onset of the nineteenth century, GDP per capita in France was lower than in Great Britain and the Netherlands. This was probably due to higher transaction costs, which were mainly caused by inefficient property rights and a transportation system geared more to military needs than to economic growth. Historians are reluctant to use the term "Industrial Revolution" for France because the slow pace seems an exaggeration for France as a whole. The Industrial Revolution was well underway in Britain when the Napoleonic wars ended, and soon spread to Belgium and, to a lesser extent to northeastern France. The remainder remained little changed. The growth regions developed industry, based largely on textiles, as well as some mining. The pace of industrialization was far below Britain, Germany, the United States and Japan. The persecution of the Protestant Huguenots after 1685 led to a large-scale flight of entrepreneurial and mechanical talents that proved hard to replace. Instead French business practices were characterized by tightly held family firms, which emphasized traditionalism and paternalism. These characteristics supported a strong banking system, and made Paris a world center for luxury craftsmanship, but it slowed the building of large factories and giant corporations. Napoleon had promoted engineering education, and it paid off in the availability of well-trained graduates who developed the transportation system, especially the railways after 1840. Paris became world-famous for making consumerism a social priority and economic force, especially through its upscale arcades filled with luxury shops and its grand department stores. These were "dream machines" that set the world standard for consumption of fine products by the upper classes as well as the rising middle class. Paris took the lead internationally in elaborate department stores reaching upscale consumers with luxury items and high quality goods presented in a novel and highly seductive fashion. The Paris department store had its roots in the magasin de nouveautés, or novelty store; the first, the Tapis Rouge, was created in 1784. They flourished in the early 19th century, with La Belle Jardiniere (1824), Aux Trois Quartiers (1829), and Le Petit Saint Thomas (1830). Balzac described their functioning in his novel César Birotteau. In the 1840s, the new railroads brought wealthy consumers to Paris from a wide region. Luxury stores grew in size, and featured plate glass display windows, fixed prices and price tags, and advertising in newspapers. The entrepreneur Aristide Boucicaut in 1852 took Au Bon Marché, a small shop in Paris, set fixed prices (with no need to negotiate with clerks), and offered guarantees that allowed exchanges and refunds. He invested heavily in advertising, and added a wide variety of merchandise. Sales reached five million francs in 1860. In 1869 he moved to larger premises; sales reached 72 million in 1877. The multi-department enterprise occupied fifty thousand square meters with 1788 employees. Half the employees were women; unmarried women employees lived in dormitories on the upper floors. The success inspired numerous competitors all vying for upscale customers. Other competitors moved downscale to reach much larger numbers of shoppers. 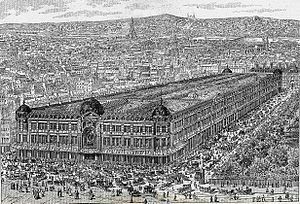 The Grands Magasins Dufayel featured inexpensive prices and worked to teach workers how to shop in the new impersonal environment. Its advertisements promised the opportunity to participate in the newest, most fashionable consumerism at reasonable cost. The latest technology was featured, such as cinemas and exhibits of inventions like X-ray machines (used to fit shoes) and the gramophone. Increasingly after 1870 the stores' work force became feminized, opening up prestigious job opportunities for young women. Despite the low pay and long hours they enjoyed the exciting complex interactions with the newest and most fashionable merchandise and upscale customers. By the 21st century, the grand Paris department stores had difficulty surviving in the new economic world. In 2015, just four remained; Au Bon Marché, now owned by the luxury goods firm LVMH; BHV; Galeries Lafayette and Printemps. In 1870 the relative decline in industrial strength, compared to Bismarck's Germany, proved decisive in the Franco-Prussian War. The total defeat of France, in this conflict, was less a demonstration of French weakness than it was of German militarism and industrial strength. This contrasted with France's occupation of Germany during the Napoleonic wars. By 1914, however, German armament and general industrialization had out-distanced not only France but all of its neighbors. Just before 1914, France was producing about one-sixth as much coal as Germany, and a quarter as much steel. France was a rural nation as late as 1940, but a major change took place after railways started arriving in the 1850s–60s. In his seminal book Peasants Into Frenchmen (1976), historian Eugen Weber traced the modernization of French villages and argued that rural France went from backward and isolated to modern and possessing a sense of French nationhood during the late 19th and early 20th centuries. He emphasized the roles of railroads, republican schools, and universal military conscription. He based his findings on school records, migration patterns, military service documents and economic trends. Weber argued that until 1900 or so a sense of French nationhood was weak in the provinces. Weber then looked at how the policies of the Third Republic created a sense of French nationality in rural areas. The book was widely praised, but was criticized by some, such as Ted W. Margadant, who argued that a sense of Frenchness already existed in the provinces before 1870. French national policy was protectionist with regard to agricultural products, to protect the very large agricultural population, especially through the Méline tariff of 1892. France maintained two forms of agriculture, a modern, mechanized, capitalistic system in the Northeast, and in the rest of the country a reliance on subsistence agriculture on very small farms with low income levels. Modernization of the subsistence sector began in the 1940s, and resulted in a rapid depopulation of rural France, although protectionist measures remained national policy. The economy was critically hurt by the German seizure of major industrial areas in the northeast. While the occupied area in 1913 contained only 14% of France's industrial workers, it produced 58% of the steel, and 40% of the coal. Considerable relief came with the massive influx of American food, money and raw materials in 1917-1928. French credit collapsed in 1916 and Britain began loaning large sums to Paris. The J.P. Morgan & Co bank in New York assumed control of French loans in the fall of 1916 and relinquished it to the U.S. government when the U.S. entered the war in 1917. On the other hand, the economy was helped by American loans which were used to purchase foods and manufactured goods that allowed a decent standard of living. The arrival of over a million American soldiers in 1918 brought heavy spending for food and construction materials. Labor shortages were in part alleviated by the use of volunteer and forced labor from the colonies. At the Paris Peace Conference, 1919, vengeance against defeated Germany was the main French theme. France demanded full payment by Germany of the damages it imposed in the German-occupied areas. It also wanted the full cost of postwar veterans benefits. Prime Minister Clemenceau was largely effective against the moderating influences of the British and Americans. France obtained large (but unspecified) reparations, regained Alsace-Lorraine and obtained mandates to rule parts of former German colonies in Africa. In January 1923 as a response to the failure of the German to ship enough coal as part of its reparations, France (and Belgium) occupied the industrial region of the Ruhr. Germany responded with passive resistance including printing vast amounts of marks to pay for the occupation, thereby causing runaway inflation. Inflation heavily damaged the German middle class (because their bank accounts became worthless) but it also damaged the French franc. France fomented a separatist movement pointing to an independent buffer state, but it collapsed after some bloodshed. The intervention was a failure, and in summer 1924 France accepted the American solution to the reparations issues, as expressed in the Dawes Plan. 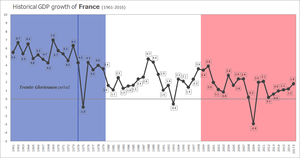 The worldwide decline after 1929 affected France a bit later than other countries, hitting around 1931. The depression was relatively mild: unemployment peaked under 5%, the fall in production was at most 20% below the 1929 output; there was no banking crisis. But the depression also lasted longer in France than in most other countries. Like many other countries, France had introduced the gold standard in the nineteenth century, meaning that it was generally possible to exchange bank notes for gold. Unlike other countries (e.g. Great Britain, which abandoned the gold standard in 1931), France stuck to the gold standard until 1936, which caused a number of problems in times of recession and deflation. France lost competitiveness relative to Great Britain, because the latter was able to offer its products at a cheaper price due to the devaluation of its currency after leaving the gold standard. Furthermore, terminating fixed exchange rate regimes opened up opportunities for expansive monetary policy and thus influenced consumers’ expectations of future inflation, which was crucial for domestic demand. The French economy only started to recover when France abandoned the gold standard. Historical GDP growth of France from 1961 to 2016 and the latter part of Les Trente Glorieuses. 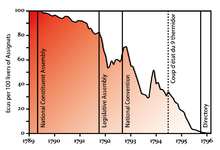 Nationalization of major industries took place in the 1930s and 1940s, but was never complete. The railways were nationalized in 1937 because they were losing money, but were strategically important. Likewise the aeronautics and armaments industries were nationalized. During the war, the Vichy government froze wages, froze prices, controlled external trade and supervise distribution of raw materials to the manufacturing sector. The French economy accepted increasing levels of nationalization without major political opposition. After the war the power industry, gas, and electricity were nationalized in 1946, with the goal of bringing increased efficiency. Banking and insurance were nationalized along with iron and steel. However oil was not considered so important, and was not nationalized. Enlarge role of government necessitated systematic national planning, which was a key feature of the postwar industries. Although the economic situation in France was very grim in 1945, resources did exist and the economy regained normal growth by the 1950s. The US government had planned a major aid program, but it unexpectedly ended Lend Lease in late summer 1945, and additional aid was stymied by Congress in 1945-46. However there were $2 billion in American loans. France managed to regain its international status thanks to a successful production strategy, a demographic spurt, and technical and political innovations. Conditions varied from firm to firm. Some had been destroyed or damaged, nationalized or requisitioned, but the majority carried on, sometimes working harder and more efficiently than before the war. Industries were reorganized on a basis that ranged from consensual (electricity) to conflictual (machine tools), therefore producing uneven results. Despite strong American pressure through the ERP, there was little change in the organization and content of the training for French industrial managers. This was mainly due to the reticence of the existing institutions and the struggle among different economic and political interest groups for control over efforts to improve the further training of practitioners. The Monnet Plan provided a coherent framework for economic policy, and it was strongly supported by the Marshall Plan. It was inspired by moderate, Keynesian free-trade ideas rather than state control. Although relaunched in an original way, the French economy was about as productive as comparable West European countries. The United States helped revive the French economy with the Marshall Plan whereby it gave France $2.3 billion with no repayment. France agreed to reduce trade barriers and modernize its management system. The total of all American grants and credits to France, 1946–53, came to $4.9 billion, and low-interest loans added another $2 billion. The Marshall Plan set up intensive tours of American industry. France sent 500 missions with 4700 businessmen and experts to tour American factories, farms, stores and offices. They were especially impressed with the prosperity of American workers, and how they could purchase an inexpensive new automobile for nine months work, compared to 30 months in France. Some French businesses resisted Americanization, but others seized upon it to attract American investments and build a larger market. The industries that were most Americanized included chemicals, oil, electronics, and instrumentation. They were the most innovative, and most profitable sectors. In all then, France received 7,000 million dollars, which were used either to finance the imports needed to get the economy off the ground again or to implement the Monnet Plan....Without the Marshall Plan, however, the economic recovery would have been a much slower process – particularly in France, where American aid provided funds for the Monnet Plan and thereby restored equilibrium in the equipment industries, which govern the recovery of consumption, and opened the way... To continuing further growth. This growth was affected by a third factor... decolonization. The Trente glorieuses era is usually considered to end with the 1973 oil crisis, which increased costs in energy and thus on production. Economic instability marked the Giscard d'Estaing government and the early years of the presidency of François Mitterrand, including a recession in the early 1980s, which led to the abandonment of dirigisme in favour of a more pragmatic approach to economic intervention. Growth resumed later in the decade, only to be slowed down by the economic depression of the early 1990s, which affected the Socialist Party. Liberalisation under Jacques Chirac in the late 1990s strengthened the economy. However, after 2005 the world economy stagnated and the 2008 global crisis and its effects in both the Eurozone and France itself dogged the conservative government of Nicolas Sarkozy, who lost reelection in 2012 against Socialist Francois Hollande. In spite of this, France's recent economic history has been less turbulent than in many other countries. The average income in France, after having been steady for a long time, increased elevenfold between 1700 and 1975, which constitutes a 0.9% growth rate per year, a rate which has been outdone almost every year since 1975: By the early Eighties, for instance, wages in France were on or slightly above the EEC average. France, like a number of countries, was affected by the 2008 financial crisis. However, during the worst part of the crisis, between 2008-2010, France fared better than other industrialized countries. For example, the Euro zone’s overall GDP decreased by 4 percent, while France’s GDP only decreased by 2.2 percent. This resilience is linked to France’s social protection system, which, through the transfers it organizes (47 percent of gross disposable household income in 2007) equips France with strong economic stabilizers. However, these stabilizers weigh inversely on recovery. Starting in 2012, many countries experienced economic recoveries, where the analysis of the indicators of economic activity in France do not show a clear recovery, or rather do not show an increased growth during this time. ^ Kendall, Paul Murray. Louis XI: The Universal Spider (New York : Norton, 1971) ISBN 0-393-05380-6, p. 12. ^ DeJean, Joan. The Essence of Style: How the French Invented Fashion, Fine Food, Chic Cafés, Style, Sophistication, and Glamour (New York: Free Press, 2005) ISBN 0-7432-6413-4, ISBN 0-473-26413-7, p. 15. ^ Viala, Alain, Naissance de l'écrivain (Paris: Eds. de Minuit, 1985) ISBN 2-7073-1025-5, p.113, Collection: Le sens commun. ^ Jouanna, Arlette and Jacqueline Boucher, Dominique Biloghi, Guy Thiec. Histoire et dictionnaire des Guerres de religion. (Paris: Laffont, 1998) ISBN 2-221-07425-4, pp. 421-422, Collection: Bouquins. ^ Emmanuel Le Roy Ladurie, The Ancien Regime: A History of France 1610–1774 (1999) pp 212-217. ^ T. J. Schaeper, The Economy of France in the Second Half of the Reign of Louis XIV (Montreal, 1980). ^ Michael D. Bordo; Roberto Cortés-Conde (2006). Transferring Wealth and Power from the Old to the New World: Monetary and Fiscal Institutions in the 17th Through the 19th Centuries. p. 77. ^ Eugene Nelson White, "The French Revolution and the politics of government finance, 1770–1815." Journal of Economic History 55#2 (1995): 227-255. ^ Perry Viles, "The Slaving Interest in the Atlantic Ports, 1763-1792," French Historical Studies (1972) 7#4 pp-529-43. ^ a b c Willms, Johannes (1997). Paris: From the Revolution to the Belle Epoque. New York, NY: Holmes & Meier Publishers, Inc. p. 88. ^ Willms, Johannes (1997). Paris: From the Revolution to the Belle Epoque. New York, NY: Holmes & Meier Publishers, Inc. p. 87. ^ Elise S. Brezis and François Crouzet, "The role of assignats during the French Revolution: An evil or a rescuer?" Journal of European economic history (1995) 24#1 pp 7-40, online. ^ Michael Broers; et al. (2012). The Napoleonic Empire and the New European Political Culture. Palgrave Macmillan. pp. 209–12. ^ Baten, Jörg (2016). A History of the Global Economy. From 1500 to the Present. Cambridge University Press. p. 19. ISBN 9781107507180. ^ François Crouzet, "Wars, blockade, and economic change in Europe, 1792–1815." Journal of Economic History 24#4 (1964): 567-588. ^ , François Caron, An economic history of modern France (1979) pp 95-96. ^ Hugh Clout, Agriculture in France on the Eve of the Railway Age (1980) on the 1830s. ^ Rondo E. Cameron, France and the economic development of Europe, 1800-1914 (1961) 107-19. ^ Ralf Roth; Günter Dinhobl (2008). Across the Borders: Financing the World's Railways in the Nineteenth and Twentieth Centuries. Ashgate. p. 19. ^ Angelo Riva, and Eugene N. White, "Danger on the exchange: How counterparty risk was managed on the Paris exchange in the nineteenth century," Explorations in Economic History (2011) 48#4 pp 478-493. ^ Baten, Jörg (2016). A History of the Global Economy. From 1500 to the Present. Cambridge University Press. pp. 21–22. ISBN 9781107507180. ^ François Crouzet, "France" in Mikuláš Teich and Roy Porter, eds., The industrial revolution in national context: Europe and the USA (1996) pp 36-63 does embrace the term. ^ J.H. Clapham, The economic development of France and Germany 1815-1914 (1921) online provides many details. ^ Jan Whitaker, The World of Department Stores (2011) p 22. ^ Heidrun Homburg, "Warenhausunternehmen und ihre Gründer in Frankreich und Deutschland Oder: Eine Diskrete Elite und Mancherlei Mythen," [Department store firms and their founders in France and Germany, or: a discreet elite and various myths]. Jahrbuch fuer Wirtschaftsgeschichte (1992), Issue 1, pp 183–219. ^ Frans C. Amelinckx, "The Creation of Consumer Society in Zola's Ladies' Paradise," Proceedings of the Western Society for French History (1995), Vol. 22, pp 17–21. ^ Brian Wemp, "Social Space, Technology, and Consumer Culture at the Grands Magasins Dufayel," Historical Reflections (2011) 37#1 pp 1–17. ^ Joseph A. Amato, "Eugen Weber's France" Journal of Social History, Volume 25, 1992 pp 879–882. ^ John Ardagh, France in the 1980s (1982) pp 206-57. ^ Pierre-Cyrille Hautcoeur, "Was the Great War a watershed? The economics of World War I in France," in Stephen Broadberry and Mark Harrison, eds. The Economics of World War I (2005) ch 6. ^ Martin Horn, "External Finance in Anglo-French Relations in the First World War, 1914–1917." The International History Review 17.1 (1995): 51-77. ^ Fabien Cardoni, "The ‘science’ of French public finances in the First World War." Accounting History Review 24.2-3 (2014): 119-138. ^ George Noble, Policies and opinions at Paris, 1919: Wilsonian diplomacy, the Versailles Peace, and French public opinion (1968). ^ Baten, Jörg (2016). A History of the Global Economy. From 1500 to the Present. Cambridge University Press. pp. 62–63. ISBN 9781107507180. ^ Baten, Jörg (2016). A History of the Global Economy. From 1500 to the Present. Cambridge University Press. p. 112. ISBN 9781107507180. ^ Martin Thomas, "French Economic Affairs and Rearmament: The First Crucial Months, June–September 1936." Journal of Contemporary History 27#4 (1992) pp: 659-670 in JSTOR. ^ Kenneth Mouré (2002). Managing the Franc Poincaré: Economic Understanding and Political Constraint in French Monetary Policy, 1928-1936. Cambridge UP. pp. 270–72. ^ Douglas Johnson, "Léon Blum and the Popular Front," History (1970) 55#184 pp 199-206. ^ Irwin M. Wall (1991). The United States and the Making of Postwar France, 1945-1954. Cambridge U.P. p. 55. ^ Claude Fohlen, "France" in Carlo M. Cipolla, ed. The Fontana Economic History of Europe: Vol.6 Part 1: Contemporary Economies, part 1 (1976) pp 91-97. ^ Claude Fohlen, "France" in Carlo M. Cipolla, ed. The Fontana Economic History of Europe: Vol.6 Part 1: Contemporary Economies, part 1 (1976) pp 72-127. ^ Laureen Kuo, "Improving French Competitiveness through American Investment following World War II." Business History Review 91#1 (2017): 129-155. ^ Claude Fohlen, "France" pp 102-3. ^ Jacques Fontanela, and Jean‐Paul Hébert. "The end of the “French grandeur policy”." Defence and Peace Economics 8.1 (1997): 37-55. ^ Volkmar Lauber, The political economy of France: from Pompidou to Mitterrand (Praeger Publishers, 1983). ^ Sarah Farmer, "The Other House," French Politics, Culture & Society (2016) 34#1 pp 104-121, quote p 104. ^ Douglas A. Hibbs Jr, and Nicholas Vasilatos. "Economics and Politics in France: Economic Performance and Mass Political Support for Presidents Pompidou and Giscard d'Estaing." European Journal of Political Research 9.2 (1981): 133-145. ^ Enda McCaffrey, "The ‘Eclectic’ deficit: Philosophical and ethical responses to the 2008 financial crisis in France." French Politics 9.3 (2011): 282-298. Bouchard, Constance Brittain. Holy entrepreneurs: Cistercians, knights, and economic exchange in twelfth-century Burgundy (Ithaca, N.Y. : Cornell University Press, 1991) ISBN 0-8014-2527-1. Farmer, Sharon A.. Surviving poverty in medieval Paris: gender, ideology, and the daily lives of the poor (Ithaca, N.Y. : Cornell University Press, 2002) ISBN 0-8014-3836-5. Ridolfi, Leonardo. “The French economy in the longue durée: a study on real wages, working days and economic performance from Louis IX to the Revolution (1250–1789).” European Review of Economic History 21#4 (2017): 437-438. Hoffman, Philip T. Growth in a traditional society: the French countryside, 1450-1815 (Princeton University Press, 1996) ISBN 0-691-02983-0. Cassis, Youssef, François Crouzet, and Terry Gourvish, eds. Management and Business in Britain and France: The Age of the Corporate Economy (1995). Fohlen, Claude. "France, 1920-1970," in C. M. Cipolla, ed. The Fontana Economic History of Europe: Contemporary Economics Part One (1976) pp 72–127. Fontana, Jacques, and Jean-Paul Hébert. "The end of the “French grandeur policy”." Defence and Peace Economics 8.1 (1997): 37-55. Freedman, Charles E. Joint-stock enterprise in France, 1807-1867: from privileged company to modern corporation (1979). Johnson, H. Clark. Gold, France, and the Great Depression, 1919-1932 (Yale UP, 1997) ISBN 0-300-06986-3. Kuisel, Richard F. Capitalism and the State in Modern France: Renovation and Economic Management in the Twentieth Century (1981). Lauber, Volkmar. The political economy of France: from Pompidou to Mitterrand (Praeger Publishers, 1983). Mathias, Peter, and M. M. Postan, eds. The Cambridge Economic History of Europe. Vol. VII. The Industrial Economies: Capital, Labour and Enterprise. Part I. Britain, France, Germany and Scandinavia (1978), 231-381, covers capital investment, labor, and entrepreneurship. Milward, Alan S. and S. B. Saul. The Economic Development of Continental Europe 1780-1870 (1973) pp 71–141 covers France 1815 to 1870. Schwartz, Robert M. "Rail transport, agrarian crisis, and the restructuring of agriculture: France and Great Britain confront globalization, 1860–1900." Social Science History 34.2 (2010): 229-255. Doyle, William, ed. The Oxford Handbook of the Ancien Régime (2012) 656pp excerpt and text search; 32 topical chapters by experts. Grantham, George. "The French cliometric revolution: A survey of cliometric contributions to French economic history." European Review of Economic History 1.3 (1997): 353-405. Pollard, Sidney and Colin Holmes, eds. Documents of European Economic History: Process of Industrialization, 1750-1870 v. 1 (1968) pp 14-24, 187-209 and passim. Until the early 19th century Germany, a federation of numerous states of varying size and development, retained its pre-industrial character, where trade centered around a number of free imperial cities. After the extensive development of the railway network during the 1840s, rapid economic growth and modernisation sparked the process of industrialisation. By 1900 Germany's economy had grown to be the largest in Europe, a factor that played a major role in its entry into the two World Wars. By the end of World War II, the country's economic infrastructure was completely destroyed. West Germany embarked in its program of reconstruction with financial support provided by the Marshall Plan and, guided by the economic principles of the Minister of Economics Ludwig Erhard excelled in the economic miracle during the 1950s and 1960s. East Germany's last remaining economic facilities were dismantled by the Soviet occupation force as the first step of the war reparations plan. The country was embedded in the Eastern Block system of socialist planned economy. Contemporary Germany is the largest individual economy and largest exporter in Europe with a GDP of 3.67 trillion USD in 2017. The post–World War II economic expansion, also known as the Golden Age of Capitalism, postwar economic boom, the long boom, was a period of strong economic growth beginning after World War II and ending with the 1973–75 recession. The United States, Soviet Union, Western European and East Asian countries in particular experienced unusually high and sustained growth, together with full employment. Contrary to early predictions, this high growth also included many countries that had been devastated by the war, such as Japan, West Germany and Austria (Wirtschaftswunder), South Korea, France, Italy, and Greece.